Would you like an online fitness course to study to be a personal trainer, fitness professional, specialist trainer or own your own gym? MAX can help you build a career you love. How do you have a career in the fitness profession and be the very best at what you do? And what the hell would I know? Well, I do know a little bit. I started teaching group exercise when I was 13. My name is Rowena, I’m one of the founders of the MAX International College for Fitness Professionals. Thirteen, that’s pretty young to start a career path. And I’ve never done anything else. And people ask me every single day, Rowie, how can you be so happy? And how come you’ve loved your life? And now I’m over 50. It’s because I have a career that I love, and how do you get the best career or the best education for the career that you want? And I’ve got a bit of understanding of that, too. I hated school. How about you? I had to sit in a classroom with a bunch of people that were either smarter than me or less smart than me. And I felt like I was a bit lost in the crowd. And then when I went into the fitness profession, and the first courses that I did were in a classroom situation with a bunch of people that either had a different opinion to me or they wanted to share their opinion with everybody. I didn’t feel like I could ask the questions that I wanted to ask. And I just hated the classroom situation. And I didn’t learn enough. And then I discovered MAX, and now I’m part of the MAX education program, which is designed to make sure that you are a top-level fitness professional, you have a career that you love, and you do it at the very best level, successful and profitable, in the way that you wanna do it. Which means that’s the way you need to get educated. Choose a fitness course that works for you. So, please don’t sit in a classroom with a bunch of people who may or may not have the same passion that you do. It doesn’t work. Education doesn’t work like that. What you need to do is pick what you wanna do and have somebody help you do it. And that’s what the MAX program is all about. It’s the entire program, the double diploma in fitness business has been filmed in real time. So, you can watch the program much better than sitting in a classroom because you can rewind and fast forward. You can listen to it again, which you can never do in a classroom situation. You can listen to it over and over again if it’s exciting to you or if you wanna get more information. If then you want to ask a question, you pick up the phone, you pick up the Skype, you text and you say, please help me. And now, you’ve got coaching, and mentoring, and support, and somebody to answer your questions who is the very best in the world. So, you’re not sitting in front of a teacher that may or may not have the knowledge to answer your question because a lot of schools, colleges, universities, they just get a lecturer to lecture the curriculum. Well, I don’t think that works and it didn’t work for me because when I asked questions at all the different courses that I went to they didn’t answer the questions the way I wanted them to be answered because they didn’t have the knowledge. So, MAX is designed with the best coaching and mentoring team ever because it’s successful and profitable people in the fitness profession. So, you pick up the phone, you pick up the Skype and you say, please help me. And somebody who’s the very best person to answer your question will answer your question the best way possible. And that’s why MAX has got a career guarantee. People say to me everyday, how is it possible that a top-level fitness business education can actually say to people, “If you don’t get the career path that you want, we’ll give you your money back.” And that’s the reason why. Because you’re not sitting in a classroom with a bunch of people, you’re not hoping to keep up with the crowd or leave the crowd behind because you’re far more educated in a particular area than they are. You get to study at your speed in the convenience of your own lifestyle at a time that suits you. And when you need help and support, it’s always there for you. So, please don’t be educated like everybody else is. There’s plenty of average personal trainers and they’re average because they’ve got an average education. There’s plenty of people with a piece of paper that says, yes, I’ve got a cert three or cert four in fitness, or yes, I’ve got a qualification to be a personal trainer. 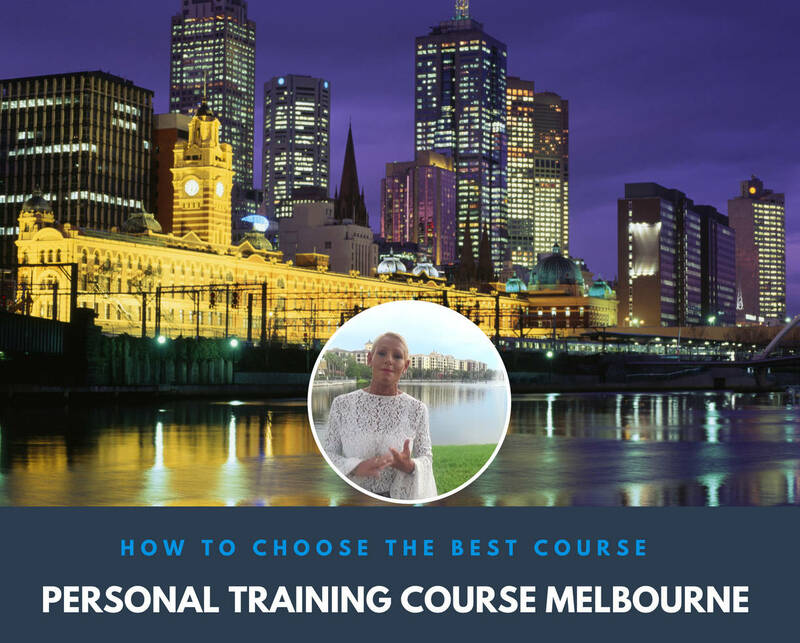 But if you ask them how to train people effectively, or why and how that exercise works, or how the human body actually works, or how to run a business, or how to get clients, or how to market their business, they don’t know. And that’s why they’re average, and that’s why they don’t have very many clients, and that’s why they’re gonna tell you that you can’t be successful in the fitness profession. But you can. So, yes, please get a top-level fitness business education at a time, and a place, and a speed that suits you. And then you can have a career that you love.